There’s a Thelma Todd celebration coming up in Manchester, New Hampshire on July 27, 2006. You can read about it HERE. Manchester is only thirty miles from Thelma’s birthplace in Lawrence, Massachusetts. She was born a hundred years ago this year, and they’ll be celebrating her birthday on July 29. There was a New England cousin who’d spent her life collecting on Thelma. When she died, they had an auction of all the memorabilia, and some newspaper sent down one of those I’m a well-adjusted writer with a normal life who’s come to interview all these geeks and wierdos at the old movie sale type articles. Very condescending, as is most of mainstream media’s coverage of such events. Always kind of sad when the product of a lifetime’s effort is so callously disposed of, but that’s the bittersweet, if not inevitable, finish for all collectors (and their collections). Thelma herself had cleared out of Lawrence by the time she was twenty, gone to Hollywood with an armload of loving cups from various Lion’s Clubs and the promise of stardom to come. 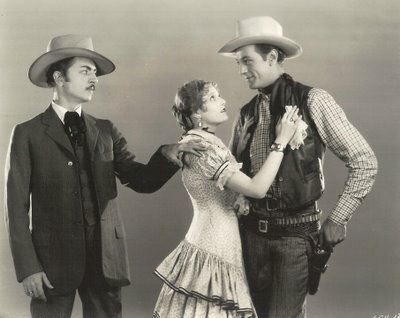 That was slow in arriving, as there were tens of thousands out there just like her, but after an uncertain start with ingenue roles (here’s one of them --- Thelma with a young Gary Cooper and rival William Powell in 1927’s Nevada) she lucked into comedy parts. This was a niche conventional actresses on the rise were less ambitious to fill --- indeed she was typecast from then on, and efforts to drama-tize Thelma, even to the point of giving her a new name (Alison Loyd) were doomed to failure. Corsair with Chester Morris (shown here) was a 1931 experiment, but already Todd was so familiar in comedies that audiences wouldn’t accept her in anything else (her partner ZaSu Pitts had the same problem). Multiple smash-ups, both on account of drinking and ongoing lack of motoring skills, nearly got Thelma killed (a palm tree jumped out in front of her car on one occasion), but she managed to get into a lot of product before that night in December 1935 when the lights went out. Without going into Byzantine detail, let’s just say that Thelma’s death has never been satisfactorily explained. The maid found her dead in the garage, with no signs of violence (some theorists differ on that point), and evidence indicated she’d perished amidst the fumes of her car engine. Had Thelma gone there during the chilly night to warm up? There’d been a quarrel with live-in Roland West (former major director down on his luck, but well connected in Hollywood power circles), and he’d banished her from the house. There’s convincing evidence he followed her down to the garage and locked her inside, but no indication she’d struggled to get out. In fact, Todd was found in the front seat. West supposedly went down the next day to check on her and found the grisly result of having sealed that door the night before. From there, it was just a matter of waiting out the discovery by an innocent third party, then feigning surprise when told. Investigators even got a confession out of Roland West, but all that was deep-sixed "for the good of the industry." Shortly before his own death in 1952, West spilled it again to close friend Chester Morris, and Morris eventually passed it along to Alex Gordon and Bill Everson. All this sounds a lot more plausible than another Todd biographer who asserts that Thelma was offed by Lucky Luciano's mob after she’d gotten mixed up with the notorious racketeer and killer. That’s the story that’s gotten the most airplay, and it’s admittedly made to order for the Mysteries and Scandals viewership, but I prefer the West angle. On the other hand, as I posited at the beginning, we may be addressing the (elderly) killer with this very post, and I may indeed be jeopardizing my own life by even exploring the matter. Thelma was known as the "ice cream blonde" ("… and everyone wanted a lick" must surely have been a refrain on the lips of various Hollywood lotharios). 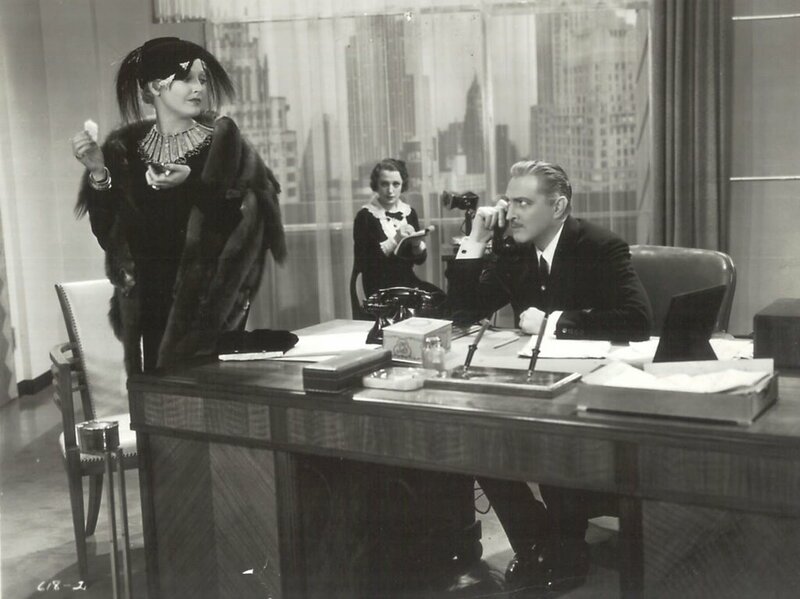 This negligee shot with the phone is from the 1931 version of The Maltese Falcon (her part in the remake was played by Gladys George). Laurel and Hardy benefited from Thelma’s presence in several shorts --- too bad there weren’t more --- this one is Chickens Come Home, and she’s gorgeous in it. 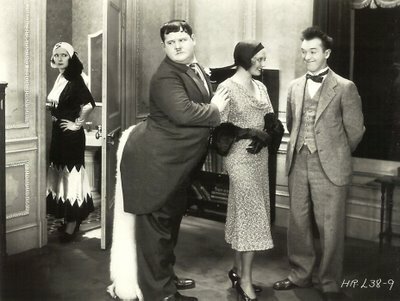 Monkey Business was one of two Marx Brothers features in which she participated. The other was Horse Feathers, but that one was code-cut in the late forties, and what’s left of Thelma’s key scene with the Brothers is so mutilated as to be almost incoherent. Too bad Universal hasn’t been able to locate better elements on this 1932 release. Buster Keaton was near a point of no return when Speak Easily found him sharing scenes with Thelma. This office exchange with John Barrymore in Counselor At Law also fell before the Code’s ax for a 1953 re-issue --- what’s left is still fine, but this missing footage appears to be gone forever. 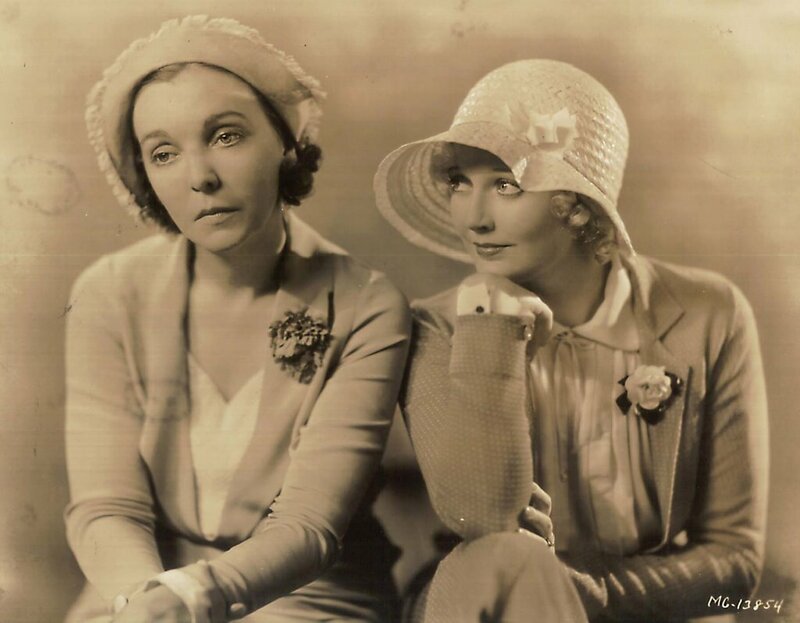 That's James Finlayson as a suspicious husband in The Devil’s Brother, and ZaSu Pitts poses with Thelma for a portrait heralding another Hal Roach short comedy. Their two-reelers generally ran ahead of Our Gang and The Boy Friends in terms of rentals, but behind Charley Chase and of course, the Laurel and Hardy series, which was the biggest earner of all. Hard to imagine them beating out Roach’s Rascals, considering how forgotten the Todd/Pitts shorts are today. This final image is something of a rarity --- Thelma Todd in The Bohemian Girl, a feature just completed at the time of her death. Preview audiences apparently saw Thelma, but hasty reshooting in the wake of her mysterious death found the part recast and virtually all her footage removed. 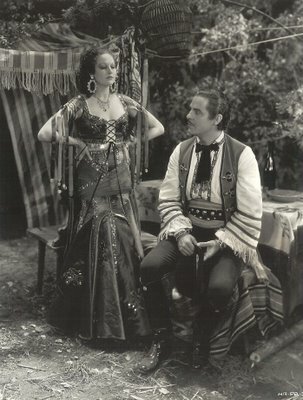 This sequence with Antonio Moreno was not seen by the public, and very few stills of Thelma from The Bohemian Girl have been published --- in fact, the only other one I’ve seen is in Randy Skretvedt’s excellent book, Laurel and Hardy: The Magic Behind The Movies. I've been mocked for this before, but I think Drew Barrymore is a dead ringer for Thelma -- certainly closer in looks than Loni Anderson. I wouldn't want to see another biopic, as Drew lacks the charm, intelligence, and humor that Thelma gave us, but still . . .
Thelma most certainly had a great career in front of the cameras, working with the greatest comedian's of the day. It would be good if she would be remembered for that alone. Nevada screened at CINEVENT this past weekend, as did the Todd-Pitts comedy On the Loose and the Todd-Kelly short The Tin Man. All were presented as a Todd Centennial tribute. 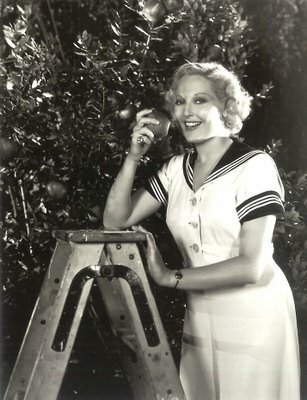 July is going to be Thelma Todd Month at inthebalcony.com. I love her (and also see her in Drew Barrymore). I never discuss her death with anybody, because her life and films are much more worth talking about IMO. 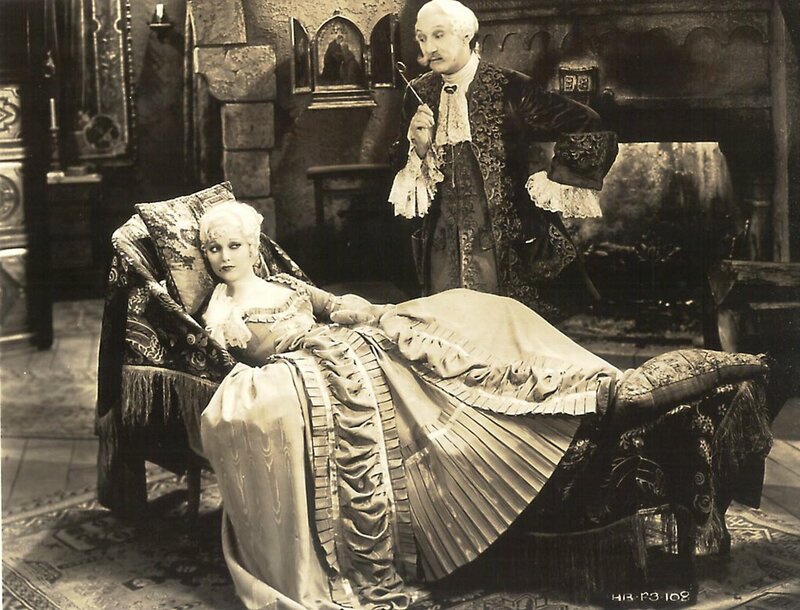 @Dave; Bullcrap, she's still here, and she's gone on to do more than Thelma Todd ever did (including having kids and playing one of the ill-fated Bouviers in Grey Gardens.) I'd like to see her as Thelma Todd in a movie, and I have a feeling that she'd pull it off. People just LOVE to diss current actors, but guess what? After we're all dead and gone, people will be considering these actors just as 'classic' as the ones on this and other nostalgia blogs. In all fairness to Thelma Todd, unlike Drew Barrymore, she didn't start her acting career as a child, but still managed to cram in about 120 films in 9 years by the age of 29 and was highly rated by some serious legends of that era. It's unfair to compare their careers on any level as Todd never got to complete hers. However, I do like both actresses and up to about 10 years ago, Drew would have been my choice to play Thelma Todd in a biopic. Anyone who's seen a hell of a lot of Todd's publicity portraits should have at some point noticed a resemblance between the two, even their profiles are strikingly similar.